PHUKET: Like wine, coffee has made a big impression in Thailand in recent years, with a growing coffee culture, particularly evident in Chiang Mai and Bangkok. Many specialty coffee roasters and great cafés have emerged. Barista skills have improved dramatically and there are a number of expos and competitions, such as the Thailand Barista Championship, held in Bangkok in March. A decade ago all of this was almost nonexistent. Along with skills at serving great coffee, growing of coffee itself has also boomed. The north of Thailand has some well-know producers turning out fine coffee, such as Doi Chang, and companies like Peaberry Ltd excel in producing specialty roasted coffee, and training people in the industry to a high level. 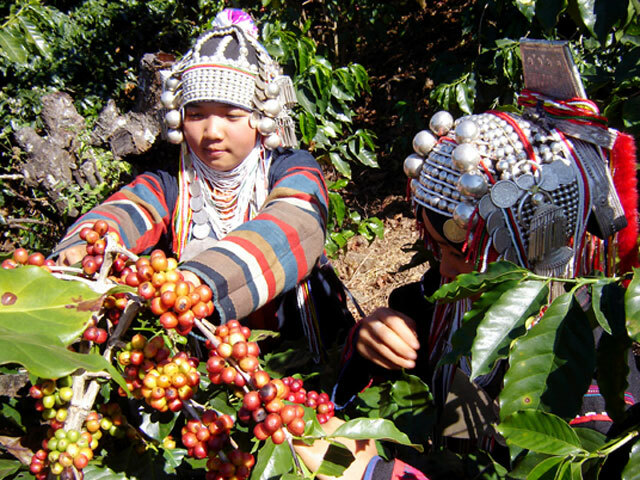 The production of fine Arabica coffee has increased in volume and Thai coffee has become recognised as a quality product. Phuket, unfortunately, lags behind much of the country in the quality of coffee available. The two main reasons for this are a lack of fresh high-quality coffee beans and the poor levels of barista skills. Roasted coffee has a short period of freshness, usually not longer than three weeks after it is roasted. Most of the coffee served in Phuket is many months old. It’s a matter of education and consumer awareness. If bread lovers had only ever been served stale bread they wouldn’t know what they were missing out on, and the same applies to coffee. One of the main reasons for this is that too many businesses are seduced by offers of free coffee machines in return for contracting to buy expensive, stale coffee for extended periods with little or no training offered. Many of these businesses would be surprised to find that buying their own equipment and fresh local coffee will save them money in the long run as well as giving them flexibility and a saleable asset. The level of barista training in Phuket is low. Good operator skills are needed to operate an espresso machine and produce good consistent espresso and milk-based drinks such as latte and cappuccino. When I came to Phuket almost four years ago I was already a passionate coffee lover. Making great espresso-based coffee was a serious hobby. I had all the equipment I needed to make great coffee but I couldn’t find any locally roasted fresh coffee. I had fresh coffee sent from Bangkok by EMS and later I bought my own roasting machine and started to roast coffee myself. In these columns I will be discussing types/brands of Thai coffee, ways of making the perfect cup, latte art and the characteristics of world coffee.